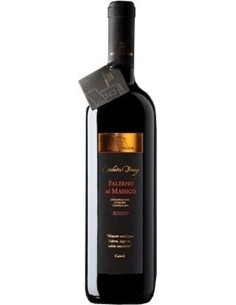 The Rubrato Aglianico of Feudi di San Gregorio was born in vineyards located in the heart of the unique scenery of Irpinia. 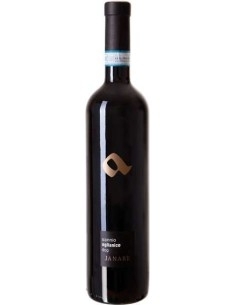 It is produced with Aglianico grapes. It has an intense ruby red color and clear. 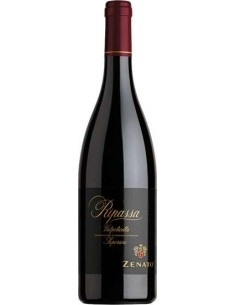 The nose recalls the wild black fruit, licorice and undergrowth. The palate is soft and balanced. One of Feudi di San Gregorio's most important visions is to believe that the birth of a wine has the same creative process as a work of art. 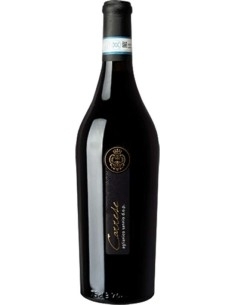 Love and passion in caring for plants, commitment to harvesting grapes and patience while waiting for mature wine, make every bottle express its personality and become a work of art. with this approach the collaborations with great masters and talented youngsters are born, aimed at continuing and increasing the will of a continuous exchange of knowledge and creativity between wine and art. The same feelings and emotions lead the creative path of a artist, which leads him to create a sculpture, a photograph, a painting, an installation. 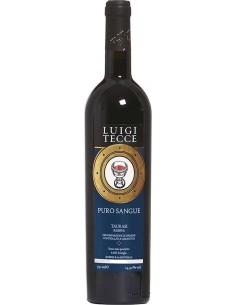 Feudi di San Gregorio is today the symbol of the enological renaissance of southern Italy and of a culture of drinking aimed at rediscovering the identity of Mediterranean flavors. Valuing the vines of Southern Italy such as Aglianico, Fiano di Avellino and Greco di Tufo, investing in the land and in the centuries-old tradition of Irpinia viticulture, restoring a future to a unique environmental heritage. Climb the hill towards Sorbo Serpico, enter a magical world, between unexpected water places, spice gardens and blooming roses. 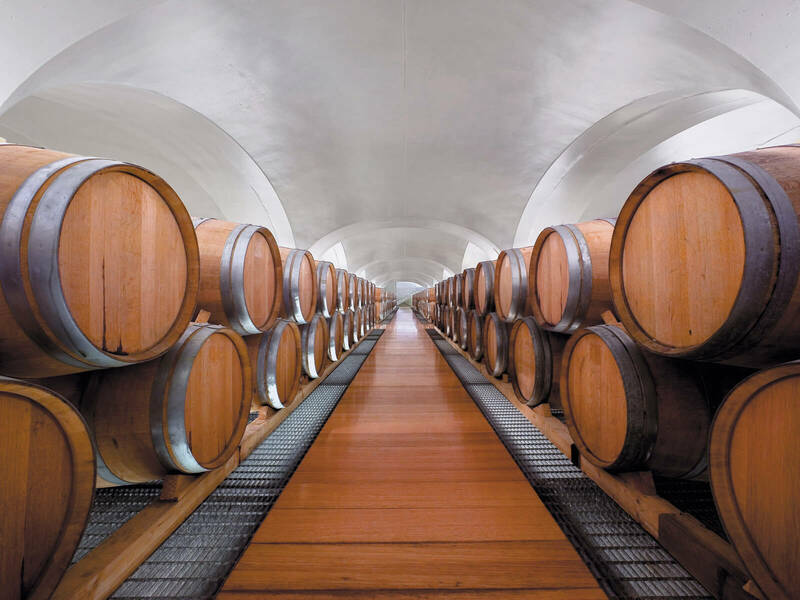 However, the biggest surprise is inside the cellar: the long barrel cellar that houses red wines. The intent is to go beyond the concept of wine cellar, making it become a forum, a place for meeting, for comparison, for knowledge, for meditation, a laboratory of ideas and culture, a place of welcome and refreshment. The project was attended by world-class professionals: the Japanese architect Hikaru Mori had the difficult task of giving architectural unity to the pre-existing structures, developed over time. Massimo and Lella Vignelli, symbols of Italian design in the world and "authors" of the company's labels, have designed the furnishings and interiors. Agliano del Taburno of Fattoria la Rivolta is a biologic wine strongly linked to the territory of which it incorporates all its magic. 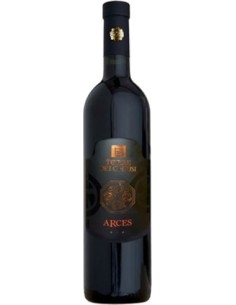 The wine presents in a ruby red color, has complex aromas and a dense tannins. 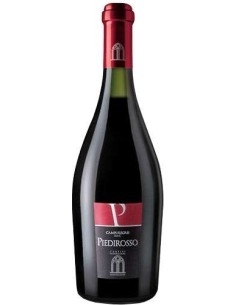 The Piedirosso by Fedriciane Cellars is intense ruby red color, tending to garnet with aging; bouquet with intense and characteristic aroma and a dry, harmonious flavor with marasca flavor.